Later in July we will be heading to Toy Story Land to check out all they have added to this new land. It got me thinking about the preschool days when mine were small. I decided to have a little fun with a dessert for them. 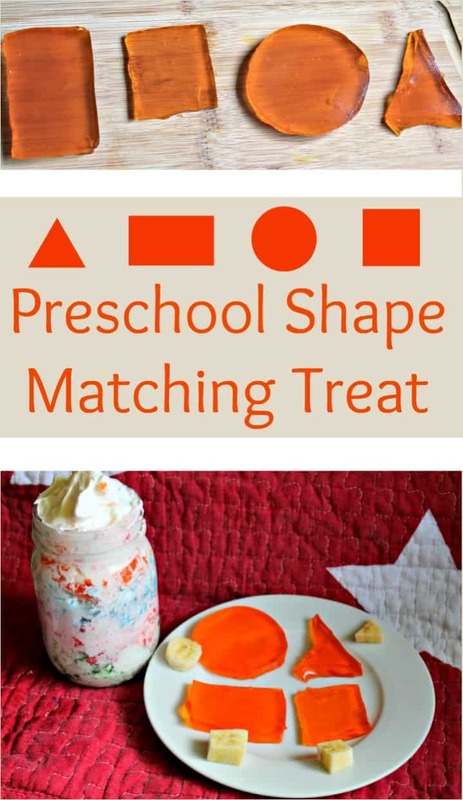 That is why I put together this dessert that would be perfect for a preschooler learning their shapes. 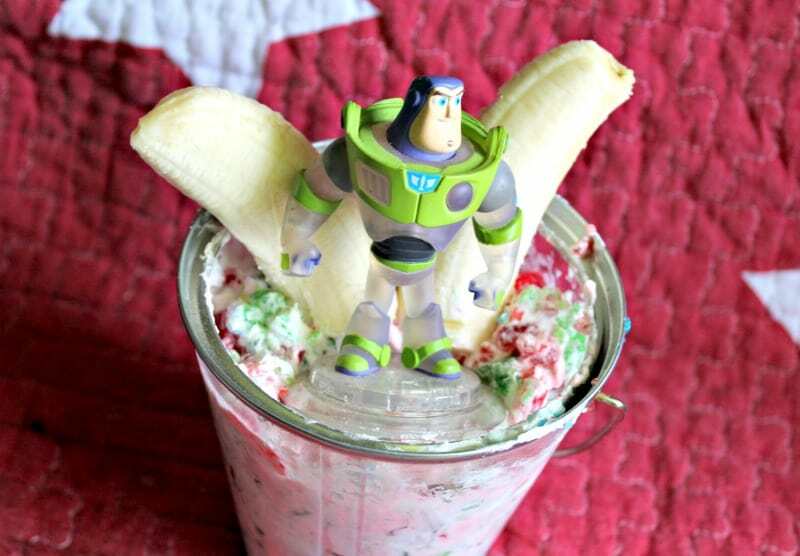 I also put a delicious toy story inspired dessert that would be great for a party. 4 pans/dishes to set your jello up in. You will need to make each color separately. 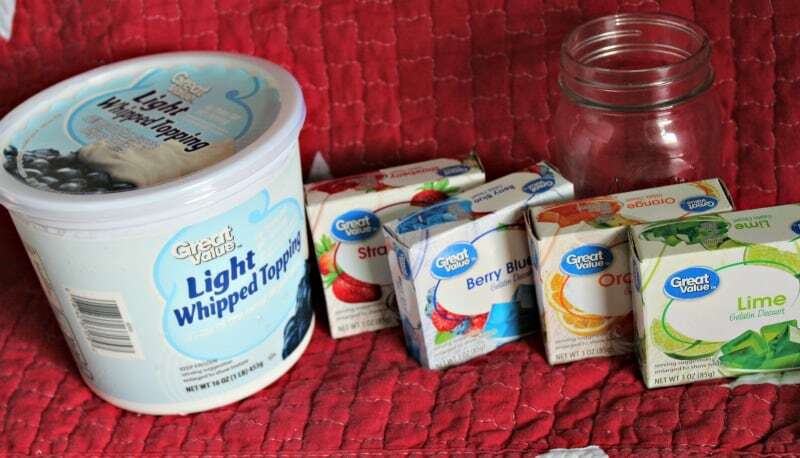 Start by boiling 1 1/4 cups of water for each batch of jello. Add boiling water to jello and stir for 3 minutes. Once you make your shapes for the project below, you will have plenty of scraps left over. 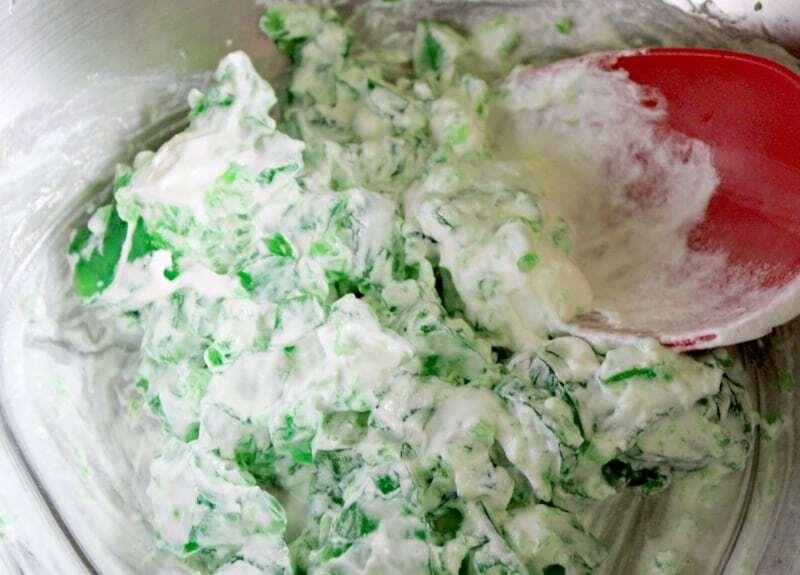 Working one color at a time, mix your scraps with whipped cream. Mix all the colors together and put them in your buckets. 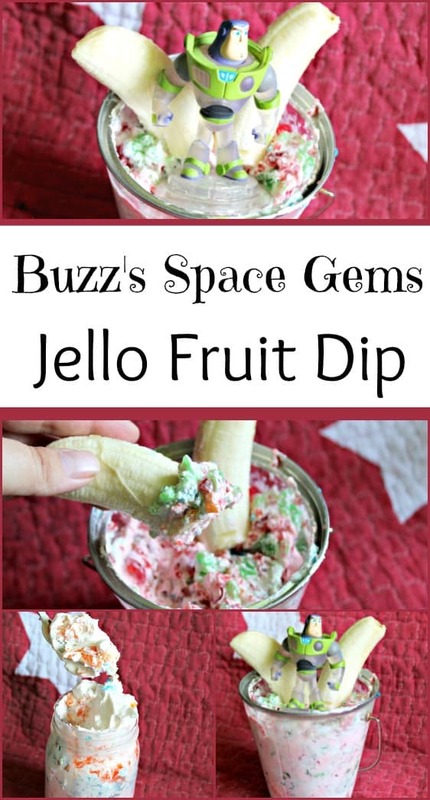 Add a sliced banana or any fruit you like and your Buzz Lightyear. Layer them in the color order you like best. Rest your jello pan in warm water for 15 seconds. Using your shaped cookie cutters, cut out each shape in the color you want. If you find that they aren’t coming out easily enough, chill them for a bit longer. Pair with bananas cut to match the shapes you have. 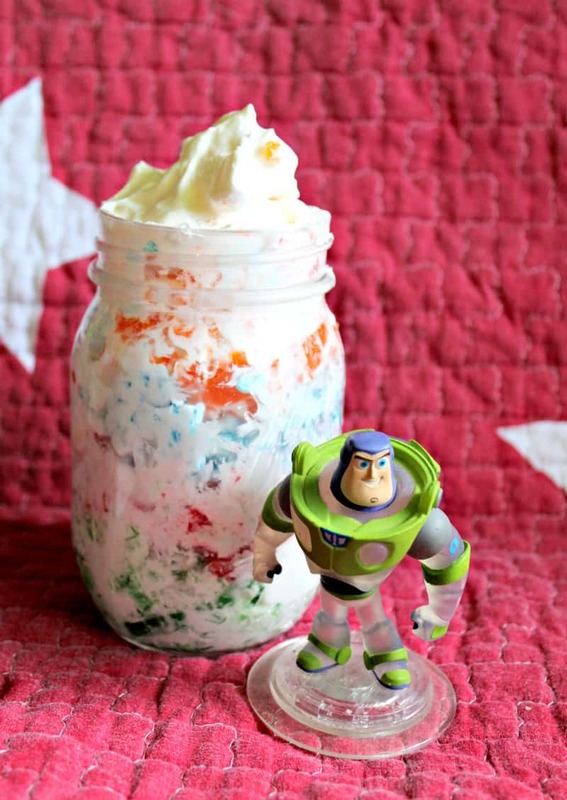 Don't miss this Toy Story inspired jello fruit dip that is sure to please at a Toy Story Party!